Fat transfer is a natural, safe and effective way to restore youthful plumpness in one area of the body by taking it from another. Certain areas of the body lose their volume and shape as you grow older – particularly the loss of subcutaneous fat in the face, resulting in low sunken areas with a distinct lack of volume. The process of taking fat from your body fat via VASER liposuction and transferring it to the face or improving areas of soft-tissue defects (after an accident for example) or following tumour removal is long lasting, effective and can be easily topped up in the future. Together with our wealth of experience, proven track record for patient satisfaction and unbeatable aftercare you can be sure that you are in the safe hands of experts. To find out what they can do for you as an individual, call our team on 02074 866778 and ask for details on fat transfer or the other body surgery options we offer. If you are still unsure you can view our FAQ section below. Although everyone heals at a different pace we find that most patients are fully healed at 4-6 weeks following surgery. It is at this point our surgeons will arrange for a final follow up consultation at which point they will be able to issue you an ‘all clear’ following surgery. Are there any alternatives to fat transfer? When it comes to facial fat transfer a patient could also benefit from choosing a number of non-surgical alternatives such as dermal fillers or bio-stimulators. In some cases it might be wise to combine fat transfers with the non-surgical treatments. However it has to be noted that although non-surgical treatments may provide equally excellent results they will not be as long lasting as fat transfer surgery. The results of the surgery are instant, however it may take a further 1-2 weeks following surgery for the swelling and bruising to disappear in order to fully see results following surgery. The actual surgery is very quick. Normally our surgeons spend around 90 minutes performing the procedure. In most cases patients are seen on a day case basis meaning they can return home the same day following surgery. In some cases our surgeons might recommend patients to stay overnight at our hospital for special observation. Your surgeon will be able to advise you during your initial consultation. What age is suitable for fat transfer surgery? 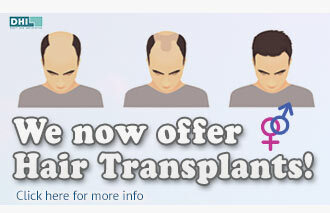 There is no real age limit to the procedure so long at the patient is in good health. Conversely however we wouldn’t recommend the procedure for anyone under the age of 30. Can the fat transfer procedure be combined with any other procedures? 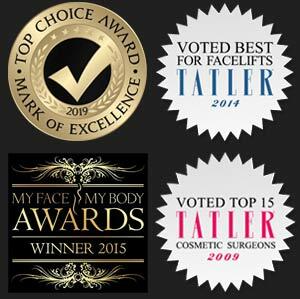 Our surgeons are known to combine fat transfer when performing facelift surgery in order to give even better results. Who is suitable for fat transfer surgery? The best candidates to benefit from fat transfer are those with excess fat they would like to remove in exchange for filling other areas which lack volume. Good areas to ‘harvest’ the fat from are the abdomen, hips, thighs and buttocks.